A nourishing blend with a hint of berry and sweetness. 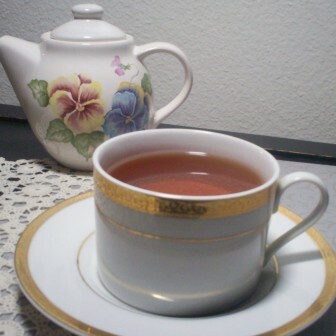 A relaxing tea to help build a wall against stress. Great for the nerves and the heart. Hawthorn berries are the main ingredient, which are amazing for the heart. Made for the Heart Chakra. INGREDIENTS: Hawthorn berries, milky oat tops, nettles, schisandra, alfalfa, gingko, Eleuthero root (Siberian ginseng), Rhodiola rosea root, rosemary, skullcap, pink roses & lavender flowers. (NO CAFFEINE) All the herbs were purchased certified organic or grown in my garden. Over 50% New England grown. I have been waiting to try this tisane. For a few reasons, actually. One being I really have to be in the mood to drink most herbals. The 2nd reason being I wanted to NEED to be Simmered Down to get the full effect of this Herbal Tea. I’ve been a “Nervous Nelly” the last few weeks because of the Holiday Hustle Bustle (I still haven’t even started shopping yet because of the awful weather we have been having) and scrambling with work, home, and crafting problems and projects! So I figured this week was as good as time as any to give this tea a whirl! I assumed this would taste REALLY herbally and I wouldn’t like it but I will say I was pleasantly surprised and I enjoyed this cup pretty well. ALL of the ingredients play nice and are on the mild side! I would say a little berry and a little herb – but again – the flavors blended well and were gentle! I LOVE that this tisane did NOT shout! 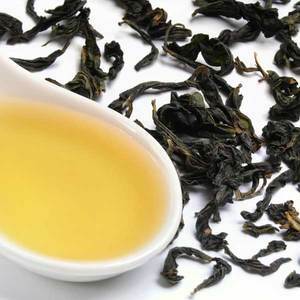 One of the rarest of green teas, Pi Lo Chun is grown in orchards amongst fruit trees. 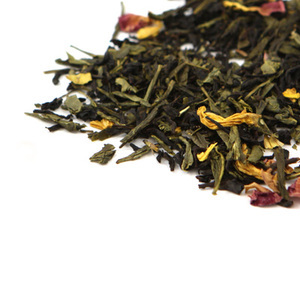 The sweet fragrance of the fruit blossoms are absorbed by the tea leaves while growing. The short harvest season, from the Spring Equinox (end of March) to the Clear Brightness (early April), also contributes to its exclusivity. 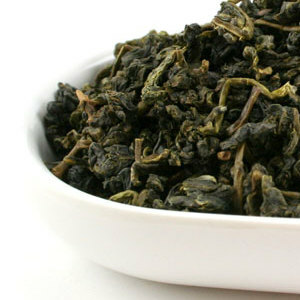 Our Pi Lo Chun uses only the finest, most tender leaves. It’s hand picked and processed in the higher elevations of Taiwan where the tea bushes are shrouded in mist and kept cool by the high mountain air. 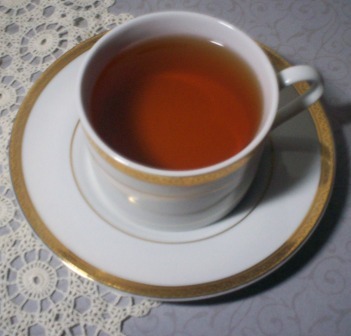 Sweet and crisp, this tea is well rounded and will finish with a clean, lingering taste. 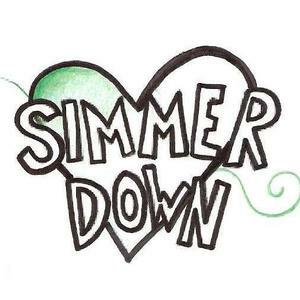 On my personal rating level – I have this currently set at an 89. It has a slight buttered veggie scent but it doesn’t really taste like buttered veggies. It’s not grassy at all! I like that! I like that it sort of fakes you out! It’s also sweet but even a little floral. The Finish and after taste are both sweet and clean! Don’t let this one pass you by – or you pass it by, rather! It’s a nice cuppa! A New Contest! It’s Another SororiTEA Sisters Sampler Package! We really appreciate your support. So to thank you we want to have another contest! This one is going to be similar to the last – but with TEN 1-ounce tins (they are made to hold 1 ounce, but the actual weight of the tea in each tin will vary due to the type of tea) and a small package of T-Sacs! Yeah, I can’t find my camera… so I can’t take pictures of the actual tins. Sorry! Comment on this blog post. Tell us which of these six teas you’re most excited to try. Be sure to include a way to contact you in case you’re the lucky winner! “Like” us on Facebook and then include a comment on your Facebook page about the contest (include a link to the contest)! Blog about this contest on your blog and include a link to the contest on your blog! Comment in the Steepster forum thread about this contest and Follow Jennifer and Anne on Steepster. Tweet about this contest (include a link, please!) and if you haven’t already, follow Jennifer and Anne on Twitter. This Contest is closed – the winner is teabird! Congratulations, and enjoy your teas! Watch for the next contest to be announced very soon! Well, it’s been a little while since our last contest, and I love hosting contests! So, I have assembled a sampler package consisting of 6 tins of my favorite teas and a small package of T-Sacs. Each tin holds about 1/2 an ounce of tea, but this varies according to the tea … depending upon the bulk of the leaf of each individual tea. That’s up to FOUR additional entries that you can earn! Easy Peasy! Entry deadline: Saturday, October 9th. I will draw the name of the winner randomly using random.org on Sunday morning and announce the winner after I’ve had a chance to contact them. Please be sure to include your contact information on the blog comment so that I can get a hold of you easily! CONGRATULATIONS TO CAITLIN! YOU’RE OUR LUCKY WINNER FOR THIS WEEK’S CONTEST! PLEASE VISIT OUR BLOG AGAIN SOON TO FIND OUT WHAT OUR NEXT CONTEST WILL BE! CONGRATULATIONS TO mrawlins2! You’re our winner! You should be receiving your tea very soon! To celebrate the launching of our new blog, Golden Moon Tea is giving away a tin of their delightful Tippy Earl Grey tea (read my review of it here!) to one of our very lucky readers! That’s right: a tin of tea FREE (that’s totally and completely free – no shipping charges, no additional purchase required) to one of our readers… it could be YOU! 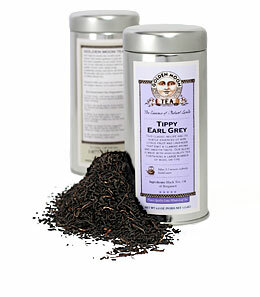 To enter, simply post a comment to our Tippy Earl Grey Tea review (that’s the review immediately following this blog post. Err… commenting to THIS blog post won’t enter you in the contest. However, if you feel the need to comment on this blog post, please feel free. We’d love to hear your comments!) Only one comment per entrant will be counted. So, feel free to comment as much as you’d like, but you’ll only get one entry. Be sure to include in your comment some way to contact you (your valid email address) in case you’re the winner! Twitter about this contest. Your twitter must include a link to this contest. Post this contest on your Facebook page. Your post must include a link to this contest. So there you go! You could win your very own tin of tea from Golden Moon Tea! The Fine Print: Each person may earn a maximum of three entries into this contest. The contest will begin on Monday, June 14 and end at midnight on Friday, June 18. The winner’s name will be drawn randomly and will be notified via email. If we are unable to contact the winner in a reasonable amount of time, an alternate winner will be drawn randomly from the remaining entries. Also, as it is late at night, I may have forgotten something. So these fine print details and/or the blog entry may be edited (that is, changed) if at a later time I see that I’ve made a mistake. I’m human and sometimes I do that. But, for the most part, I think that I’ve managed to say everything that I’ve needed to say. So, enter already!